One of my clients told me that she had 6 meetings several days this past week which meant that she was only able to get her work done after hours. Additionally, she commented that most of the meetings were longer than they needed to be, were reporting in nature, and had several people checking their emails or drafting off memos. She even received a text from a colleague across the table with an eye rolling emoji! Only invite people who need to be there and keep the number as low as possible. Shorten meeting time. There is nothing sacred about 60 minutes. Make sure there is an agenda with time frames that allow for a realistic completion of what needs to be covered in the meeting. Start and finish your meetings on time. Begin with something interesting such as a controversial issue to discuss for the first few minutes. Ban electronics. Keeping hand notes is fine. Designate one person as the recorder (alternate for different meetings) who can keep notes on their computer and then distribute to everyone. Formalize the notes with follow-ups and dates. Indicate that you expect designated people with tasks to report into the group on assigned dates and not that they will be asked for updates. Close with a summary of what’s been accomplished and expected as well as an appreciation for everyone’s participation. 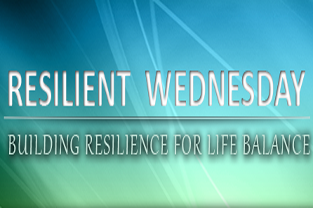 Remember that energy management is key to maintaining resilience. Effective meetings should create energy, not take energy. I love these rules! I have an addition for meeting organizers/moderators: when the attendees start rehashing a topic that’s already been covered, the meeting should end. Each topic on the agenda gets its time for discussion, and a single follow-up mention to delegate action items. If it needs more discussion, a follow-up meeting should be considered. Yes, your comments on this particular subject, like every post here, are helpful to me. Thank you for your insight and encouragement.